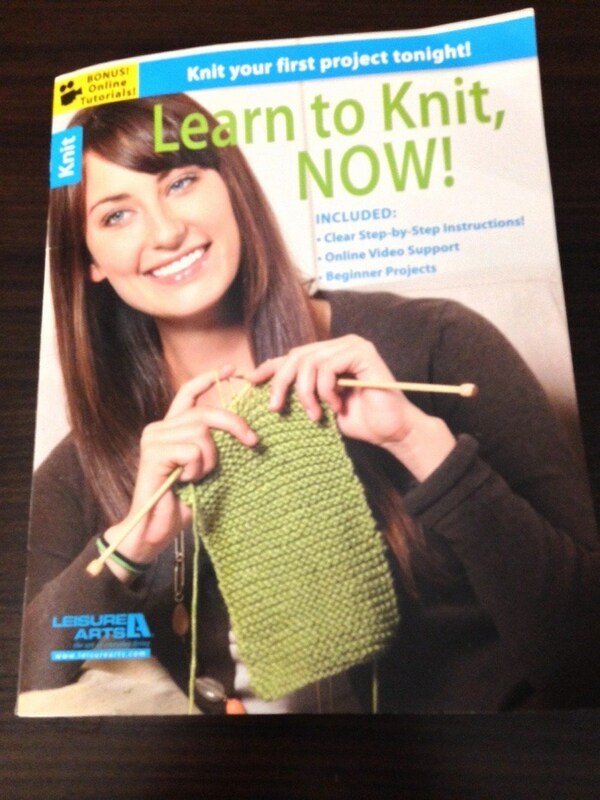 Learn To Knit Now!, published by Leisure Arts, Inc. Copyright 2013. My family recently took a road trip through several southern states. I decided that I FINALLY was going to make the time to learn to knit. It’s something I’ve wanted to do for about 10 years and I knew being on the road for hours at a time while traveling from one destination to the next for several days would give me the perfect opportunity (with no housework or errands or anything else interrupting me) to give this new endeavor the time and attention that I knew it would require. Also, though we traveled with our three children, they are old enough (ages 21, 15 & 12) that traveling is much more enjoyable than when they were younger. I mean, there aren’t incessant potty breaks, wails of being hungry/thirsty/bored, or other behaviors that make traveling less than fun. We did have fun at times singing along with the radio, pointing out interesting sights and being goofy. My 15-year-old son is hil-ar-i-ous!!! He provided many awesome comedic interludes during the trip with his impersonations, jokes and all around clowning. 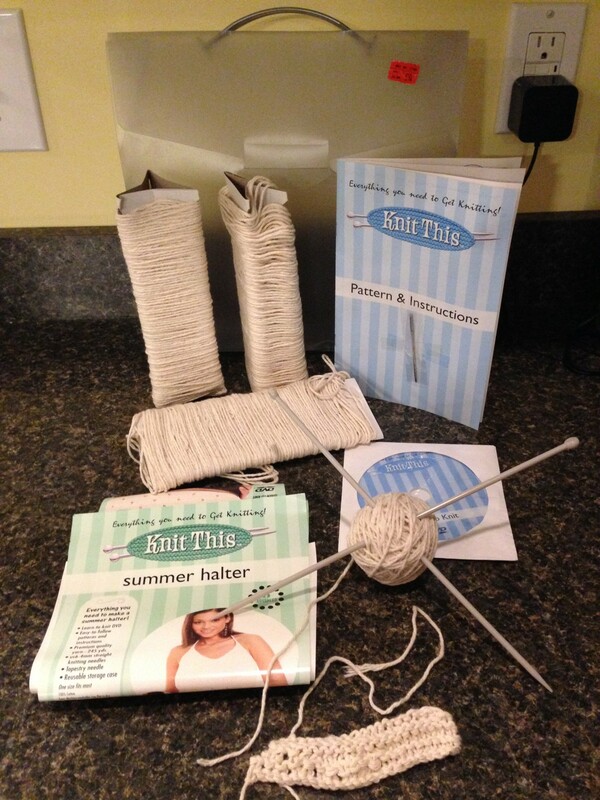 “Knit This” Kit-summer halter-Level 3 advanced. Horizon Group USA, copyright 2005. 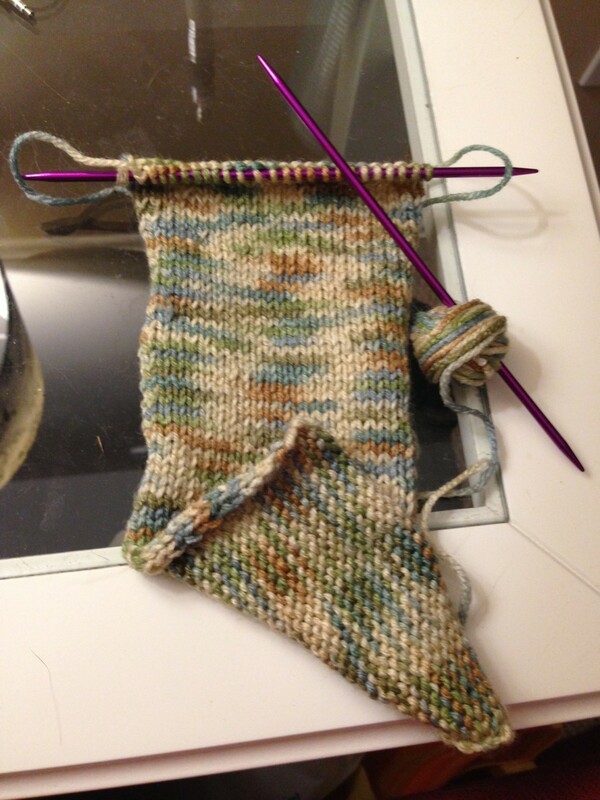 This is not my first stab at knitting. 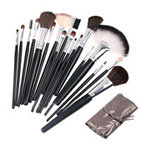 I purchased the kit pictured to the left about 9-10 years ago at Target. You can see the red clearance sticker on the product packaging. It was an awesome bargain, 75% off! Regularly priced at $14.99, I snagged it for just $3.74. I love Target! I was so excited by this find, that I neglected to look at the packaging closely. 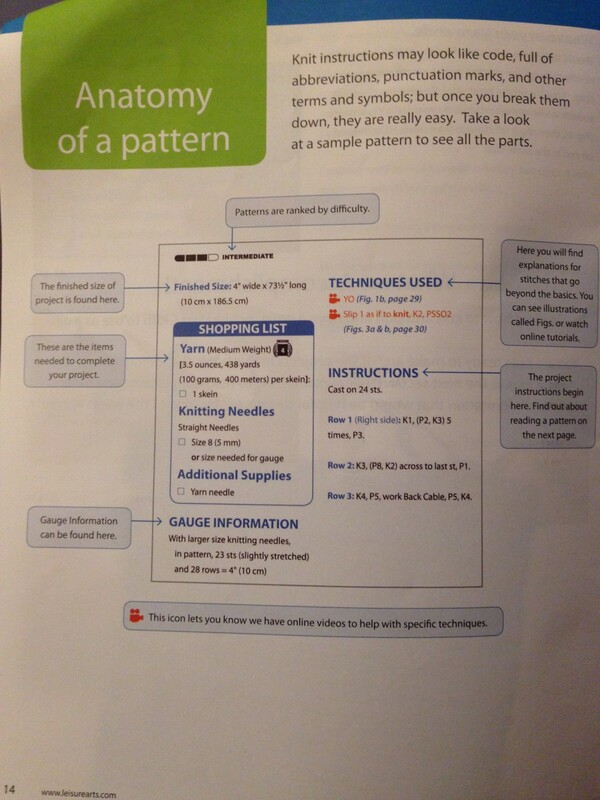 The pattern included in the kit is Level 3 Advanced. I think that intimidated me from the get go. I did get it all laid out and reviewed the instruction book. The DVD function on my computer was not working at the time and my kids were young then, so TV time was pretty non-existent for me, so I never got around to being able to watch the DVD. It might have really helped. As it was, I just tried to learn the basic stitches from the booklet and it was nothing but an exercise in frustration. I was so used to crochet stitches and going from using one crochet hook to two knitting hooks was really disorienting for me. It was not good. I became frustrated so easily. After trying to figure out what the heck I was supposed to be doing for a couple of days, I piled it all back in the container and figured someday I would tackle it again. This kit survived a tornado that destroyed my home in 2012, being moved to storage while we found a home to rent and worked with a contractor to build a new home, and being moved again to our finished home at which time it was placed with all my other crochet, cross-stitch, embroidery and various other crafting supplies in my bedroom closet. I looked longingly at it during these transitions, but had very little time to devote to trying again while dealing with the insurance company to complete the settlement process and the endless paperwork to file claims for the home and contents lost to the tornado, followed by the lengthy and immersive process of working with our builder to communicate building plans and make the decisions he needed us to make. Our insurance company and our builder were both great and the process was as smooth as might have been hoped for, so that was a relief after the terrible ordeal our family had been through. But, still, learning to knit stayed on the back burner. Then…cue the drum roll…a Hobby Lobby FINALLLLLLY opened in my town. I was so psyched! My daughter and husband each gave me gift cards to the store for Mother’s Day this year. No disrespect to other craft stores, at all. We have a Michael’s in town, and I have long shopped there. But, the section of knitting needles just wasn’t high on my radar, I guess. But, the moment I walked into our new Hobby Lobby and found the yarn aisles, the knitting supplies just leapt out at me and I could not take my eyes off of them. I knew I was ready to give knitting another try. 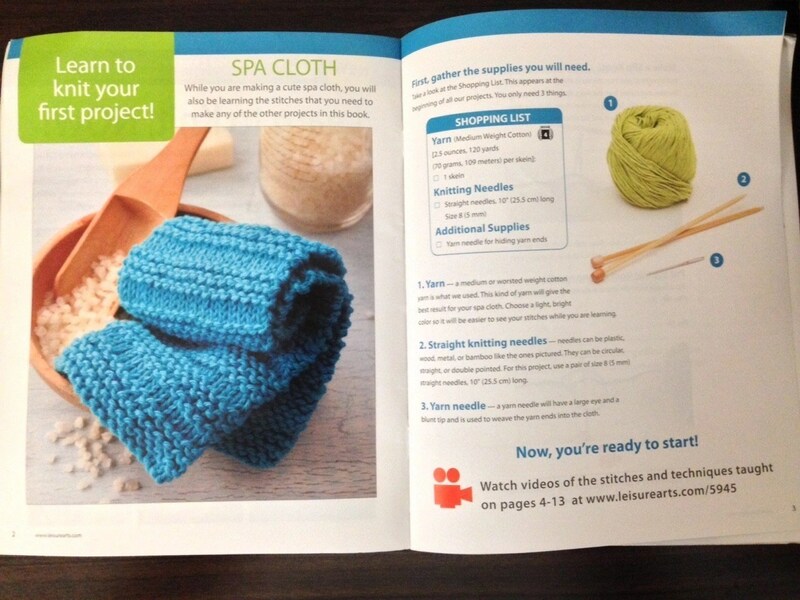 I found a great knit tutorial book, Learn to Knit Now! Even the title was exciting. Flipping through the pages, with the wonderful explanations of terms and their abbreviations, symbols, the difference in pattern difficulties, information about different weights of yarn and a breakdown of the anatomy of a pattern I was engaged immediately. I also liked the fact that this whole book only features two distinct stitches, the knit stitch and the purl stitch for the beginner to learn. Also demonstrated are how to make a slip knot and then cast on stitches (to provide the foundation to start a project) as well as bind off stitches to finish. In addition, as you progress through the 32 page book, there are online tutorial links that you can access with an internet connection to actually see a person performing what the book is describing to the user. 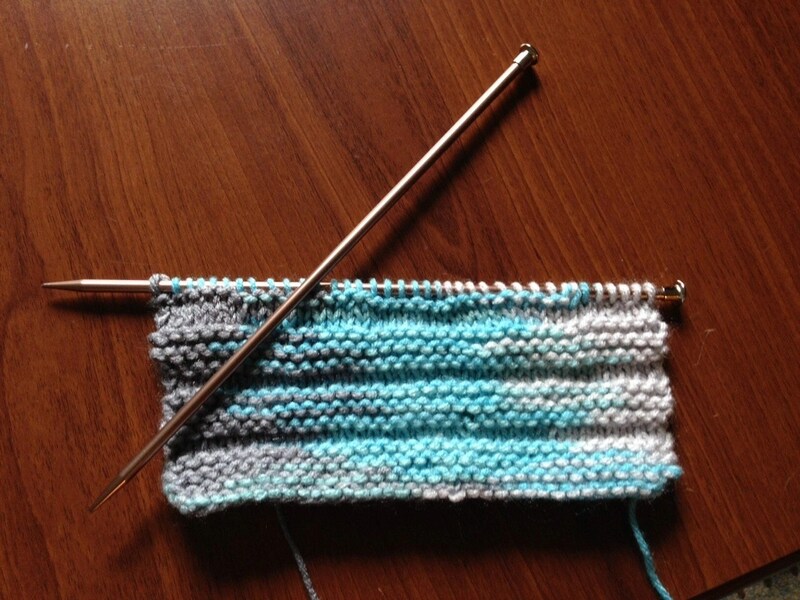 In addition, as the book demonstrates the stitches for you to learn, you actually are making your very first project! I really loved the fact that at the end of learning these basic stitches, I had a finished product, called a Spa Cloth, that I could hold in my hand and see an actual accomplishment. Priceless! 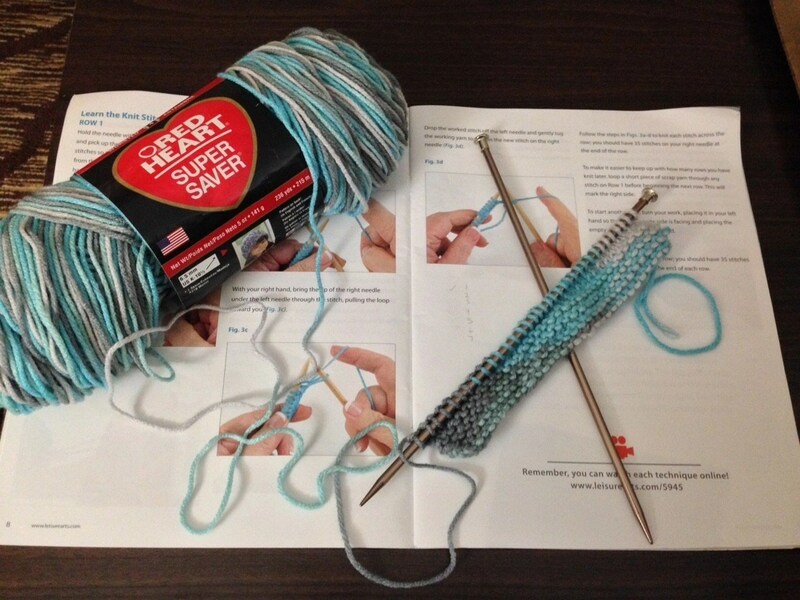 I had purchased this beautiful Red Heart Super Saver yarn in colorway Icelandic, also with my Hobby Lobby gift cards, and decided to use it for this first project. This set of knitting needles are a size 8, as called for in the pattern. The colors make me think of the beach and the waves of the ocean, so I thought it would be perfect for the Spa Cloth project. Unfortunately, though I caught on quickly to the stitches and everything, I messed up and dropped some stitches about halfway through the cloth, so I didn’t finish it. I hadn’t gotten good enough to figure out how to pick up dropped stitches at that point. I have restarted the cloth but am not finished with it yet. I was bummed, though not discouraged enough to quit altogether. I will get it. 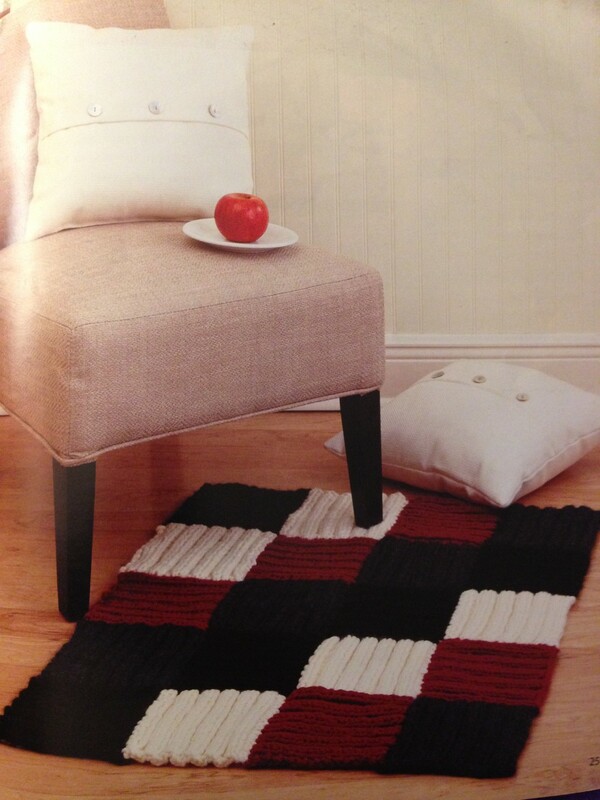 Other projects included in Learn To Knit, Now! include: Lip Balm Cozy, Rug, Wrist Warmers, Cowl, and a Lap Robe. Personally, I can’t wait to get my needles into the Rug project. Since learning the basic stitches, I have also learned the stockinette stitch, which is simply doing alternating rows — one in knit stitch, the next in purl stitch, and repeat. This creates one side that is smooth and looks like many little “v’s”, the other side has a bumpy texture. I practiced the stockinette stitch with a small ball of leftover yarn my mother-in-law gave me after finishing an afghan. I have no idea what brand this yarn is or the name of the colorway, but it’s nice. I will have to ask her when I see her so that I can look for it the next time I’m in a yarn buying mood. Those great purple knitting needles shown are a size 4. I bought a package with 5 or six of these needles because I intend to try knitting some socks at some point and the pattern I’ve tentatively decided on calls for three needles to make them. 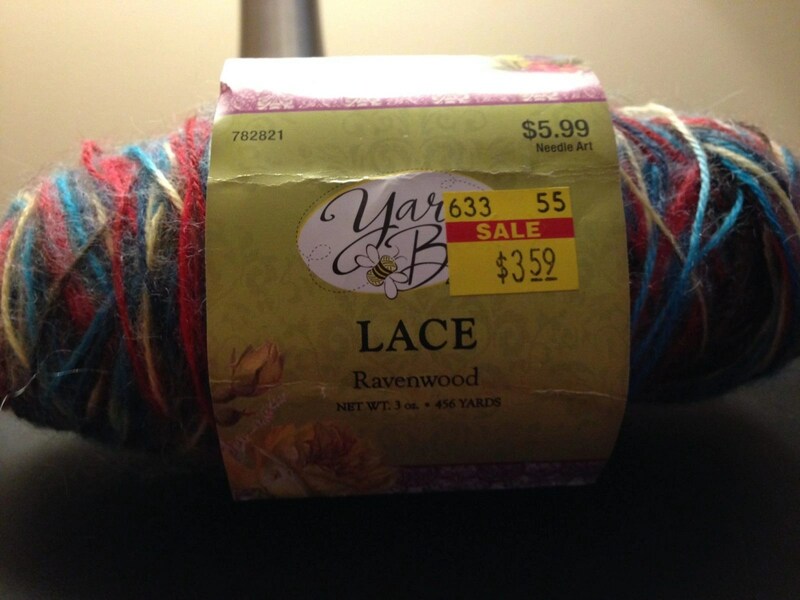 The yarn I’ve purchased to make the socks is Yarn Bee Lace in colorway Ravenwood. 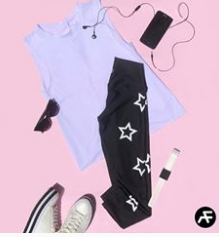 The colors are beautiful and the name is fantastic, too! I’m really looking forward to it. 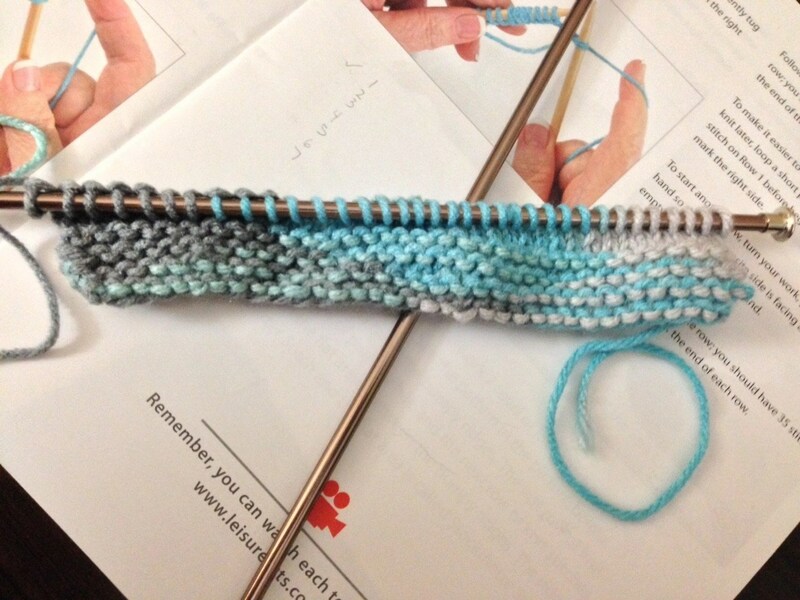 Well, this has been a walk-thru to my second attempt at learning to knit. I highly recommend knitting. It has proven to be as relaxing a hobby as crochet for me. And the old adage stands: If at first you don’t succeed, try try again.